Thank you Vital Proteins for sponsoring this post so I can share the recipe for these healthy collagen chocolate cupcakes which are only 75 calories each with all the added health benefits of having collagen baked inside them! 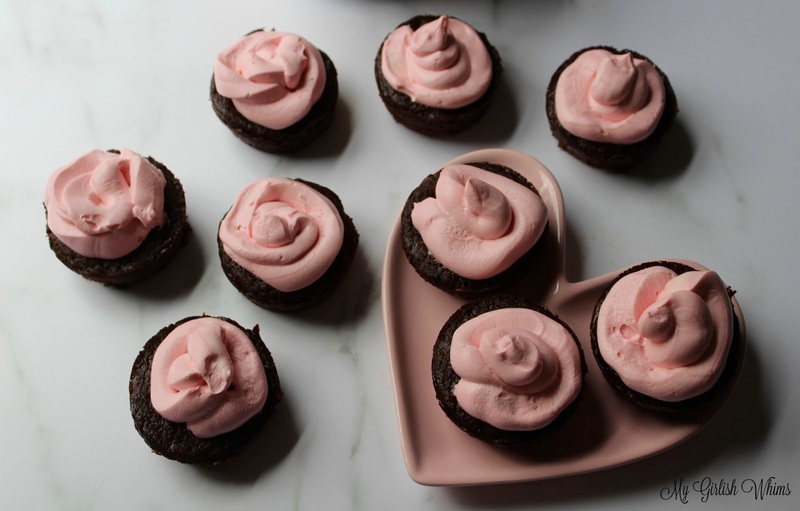 Valentine's Day is right around the corner and I've got the perfect sweet little treat that you can bake and decorate for the holiday! Now I'll be real honest here: cake/cupcake decorating has never been my strong suit. 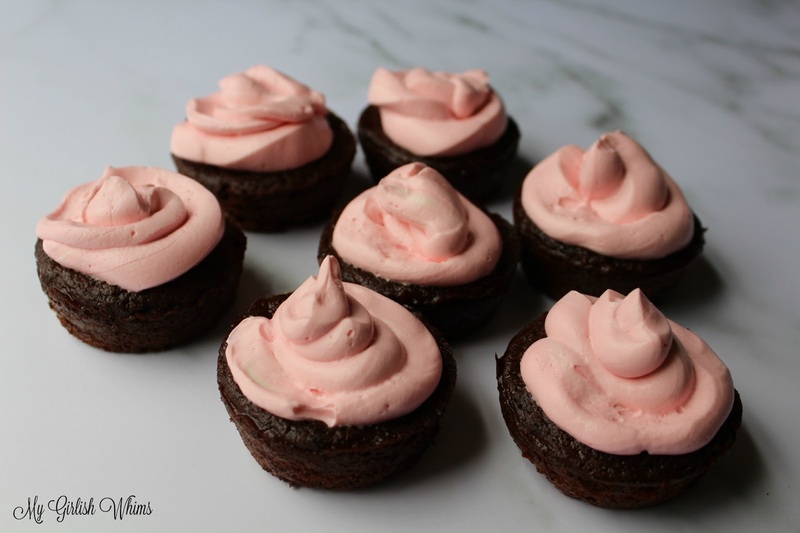 I should probably invest in some legit baking supplies so maybe any future cupcakes I make won't look like they literally have the poop emoji on top but in a pink color....whoopsies. But! Even though I'm not great at decorating cupcakes, I am good at making recipes for healthy treats that actually taste good! You tell me what's more important ;) I mean it's all just going into my belly anyway. 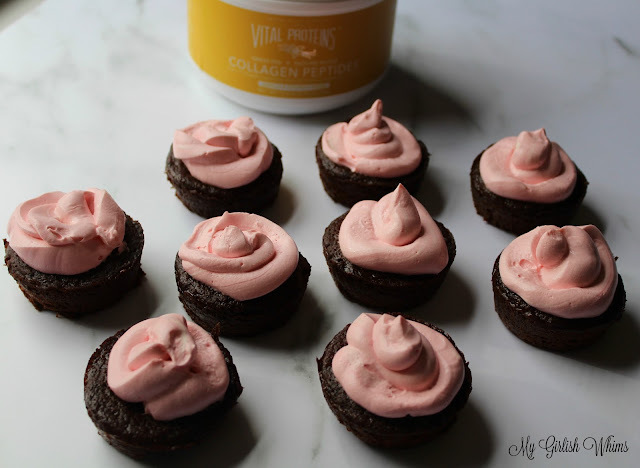 These healthy cupcakes are baked using Vital Proteins Vanilla Collagen Peptides. 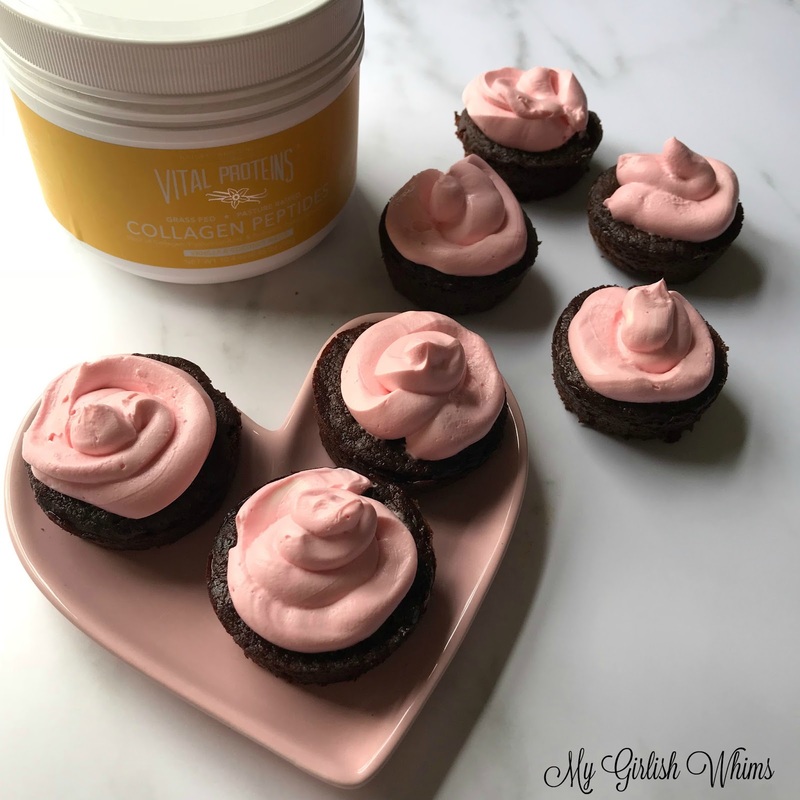 I really like using collagen supplements from Vital Proteins because they are sourced from only one ingredient: grass-fed, pasture raised bovine hides for a high quality source of collagen. Taking collagen supports bone and joint health, healthy hair, skin and nails and even aids in digestion. These vanilla & coconut water peptides are lightly flavored which works perfect in this sweet recipe! 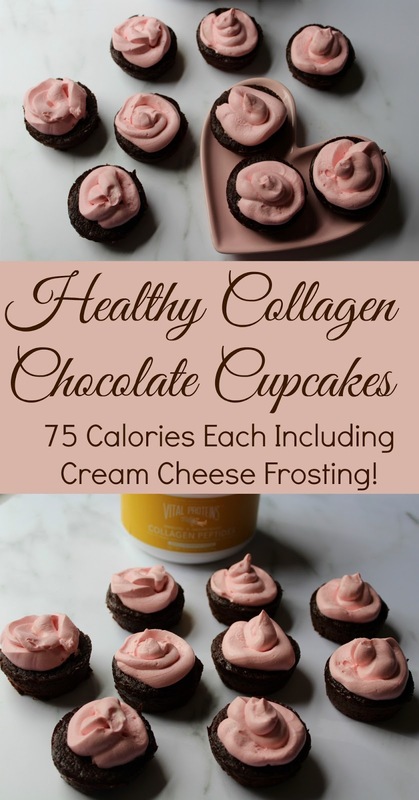 Including the cream cheese frosting these cupcakes are only about 75 calories each and are super low fat and high in protein! With no oil these cupcakes are still moist, chocolatey delicious and even gluten free! It you make them - just try a little harder than I did to avoid any similarities to poop emojis when you ice them - mmhkay??? 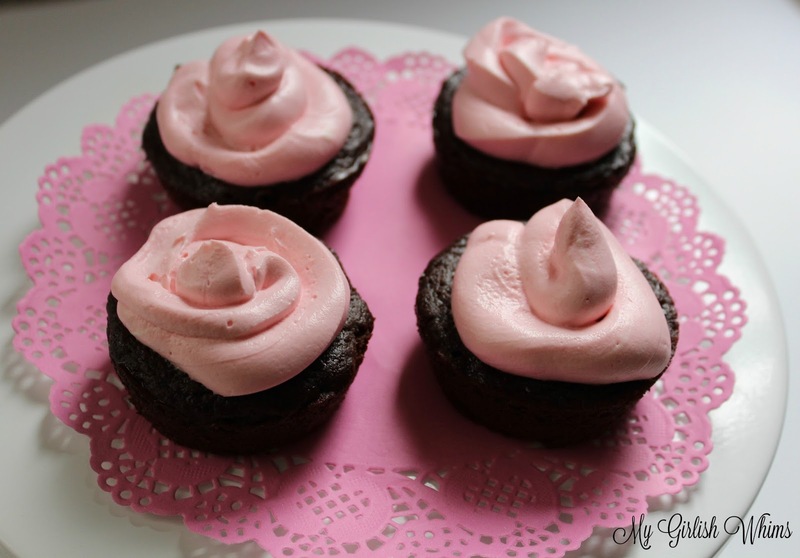 This recipe makes 12 cupcakes for 49 calories each with 10 grams of carbs, 1 gram of fat and 6 grams of protein each. Topping the cupcakes with about 20g of frosting (about 1.5 tbs) makes the cupcake 77 calories with 12 grams of carbs, 2 grams of fat and 8 grams of protein.